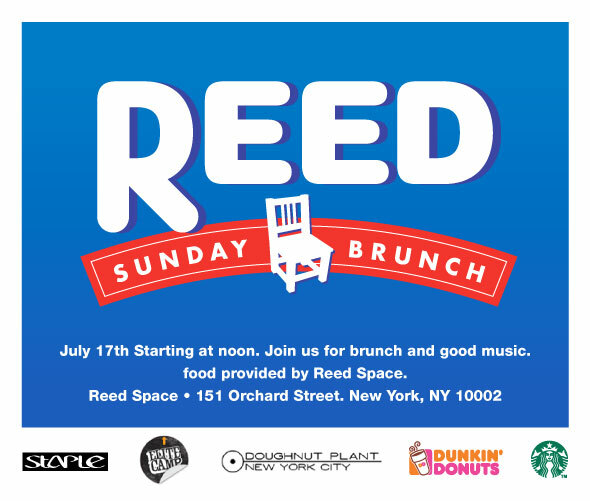 The extended family and good folks over at Reed Space are throwing somewhat of a first annual NYC brunch tomorrow and they want to see all your pretty faces. For no particular reason other than to celebrate Summer, this Sunday starting at 12pm enjoy local goodies from the LES. With sponsors like Starbucks, Dunking Donuts and local Chinese bakeries, you really can't go wrong. Not to mention it's all 100% free of charge. Elite Camp Crew will be providing the music, bring your smiles. Props to Staple Design and of course big homie, Jeff Staple himself.